Did you know that you get two, free customizable pages with your yearbook purchase? All you have to do is log into your account from a desktop computer at any time between now and April 15th and upload some of your favorite photos and memories. There’s no checkout process for these pages, no extra fees, and no catch. They’re yours for free! 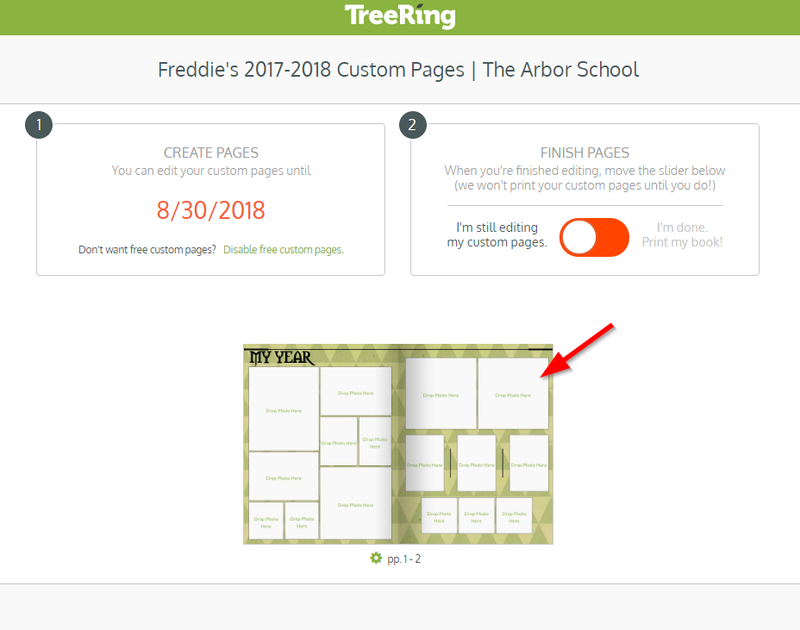 These personalized pages are completely optional, so don’t worry—if you take no action, you will receive the standard yearbook. Creating custom pages is fun, easy, and completely optional. Your child will love having extra photos of their favorite memories printed in their yearbook. 2. Click on the image of the page spread that you want to design or edit. 4. When you are done with the pages, select Back. Edits are automatically saved. You can edit your pages at any time and as many times as you like between now and the deadline of April 15th. 5. Once you finish editing your custom pages, make sure you set them to print ready. Custom Pages must be finalized and set to “Print Ready” by April 15th. If you are not ready to set them to “Print Ready” and will continue to work on them at another time, just click “Back” so you can log out of your account in Settings. Your pages will be there all year awaiting your memories and photos. You can add more than two pages if you would enjoy more personalized content. 6. That’s it! We hope you enjoy this new feature, and don’t forget to set your pages to “Print Ready” by April 15th!